MINISTER FOR FINANCE Michael Noonan has announced the full details of the property tax which will be introduced next year to replace the household charge. The Local Property Tax, as it is called, will be charged at 0.18 per cent of the market value for houses worth under €1 million. Houses valued at more than that will be charged at 0.25 per cent of market value. This means that a house worth €150,000 would pay €225 for one year. Michael Noonan said that the market value of the property will be assessed by the owner, with the Revenue Commissioners providing valuation guidance for reference. Alternatively, owners will be free to use a ‘competent’ valuer. The tax will kick in from 1 July 2013 and will apply for the second half of the year. The tax will be collected by the Revenue Commissioners. New buyers will not have to pay the property tax for three years and people living in ghost estates will also be exempt from the charge. 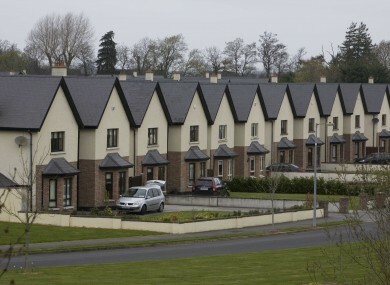 The initial assessment of the market value will be valid until 2015, which Minister Noonan said would provide “three and a half years of certainty” for homeowners. Email “Property tax: Here's what you need to know”. Feedback on “Property tax: Here's what you need to know”.